Without proper engine maintenance or repair, you can’t expect your engine to perform. And, you can’t expect it to last like it should. Today’s engines will go for hundreds of thousands of miles…but only with proper maintenance and repair! When you need engine maintenance or repair, let the Complete Auto Care experts at Mr. Transmission® Milex® Fayetteville service your car or truck. We’ll analyze your vehicle’s condition and maintenance needs and tell you what you need, and what you don’t need. Our technicians are dedicated to providing the highest level of engine repair and maintenance services at affordable, economical prices. Your car’s performance and your engine’s longevity depend on more than just a regular oil change. Long engine life also depends on other fluids being checked and changed regularly. These include things like your power steering fluid, coolant, and transmission fluid. Sometimes these checks result in a “good to go,” sometimes they find that the fluids need to be topped off or even changed out. Either way, regular maintenance by the qualified technicians at Mr. 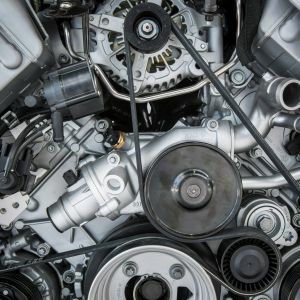 Transmission Milex Fayetteville is the best way to make sure you find and complete any needed engine repairs. Filters (air, power steering, transmission, fuel) need to be checked, cleaned, and changed on a regular basis. Battery replacement typically occurs around 35,000 miles. Every 40,000 miles spark plugs and wires should be replaced and the ignition system should be thoroughly checked. Every 60,000 miles, the timing belt should be checked and adjusted or replaced when appropriate. Other major systems need regular maintenance as well. Regular maintenance of your brakes, tires, exterior lights, suspension, and air conditioning system should all be your vehicle service list. When it’s time for maintenance of your car or engine repairs, you can trust the Complete Car Care professionals at Mr. Transmission Milex Fayetteville. Our trained and experienced technicians can ensure your vehicle stays on the road, and keeps you and your family safe. It doesn’t matter if your car has 10,000 miles or 300,000 miles on it – we’re here to help. Bring it to Mr. Transmission Milex Fayetteville for affordable, professional, reliable engine repair and maintenance service. In Fayetteville, GA and surrounding communities, call us.